Roy Cummings, '61, a trumpet and jazz-studies instructor at the UW School of Music who taught thousands of students in the Puget Sound area and played with some of the most famous musicians of his time, died on Jan. 5 of a massive heart attack. He was 59. "His death was a terrible shock for us, and we will miss him greatly as a colleague, teacher, performer, and friend," says Robin McCabe, '71, director of the UW School of Music. Cummings, who earned bachelor's degrees in music and music education at the UW in 1961, returned to campus in 1970 as a trumpet instructor. He became director of the UW's large jazz ensemble in 1975 and served as chair of jazz studies from 1979 to 1993. 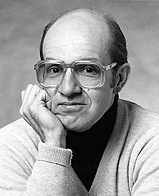 In 1998 he was named to the Washington Music Educators Association Hall of Fame. One of his most famous students is Kenny GKen Gorelick, '78with whom he performed on numerous occasions in the 1990s. At one concert the top-selling saxophonist described Cummings as the teacher who had seen his potential. He presented his mentor with a plaque and invited Cummings to direct his orchestra. Besides being an excellent teacher, Cummings had a long, successful career as a professional trumpet player. He performed at the 1962 World's Fair, with the Seattle Opera orchestra and the Seattle Symphony. In 1975 he became the music director for the Seattle Seahawks. Recording artists he played with include Tony Bennett, Wayne Newton, Carol Channing, Dionne Warwick, Johnny Mathis and Mannheim Steamroller. Born in Yakima, Cummings and his family later moved to Tacoma, where he graduated from Lincoln High School. He participated in the school choir, played in the band, and served as student-body president. "He affected people's lives on a variety of levelsintellectual, spiritual and creative," says Clarence Acox, Garfield High School Jazz Band director, who knew Cummings for 28 years. In addition to his UW work, Cummings reached out to the community, touching generations of students and music instructors of all ages and levels. His son Bryan, of Seattle, put it best: "He loved music and he tried to share that with everyone in his life."